Hydrogen peroxide is more gentle than chlorine bleach and can be used for sterilizing and disinfecting in your home. Olive oil is great for moisturizing and conditioning leather furniture and as a furniture polish. Orange oil is an effective cleaning agent which is less toxic than petroleum distillates and also smells great! White vinegar is a great disinfecting tool. It can also be used for deodorizing, cutting grease and wax build-up, removing mildew and removing stains on carpets, countertops, pots, pans and coffee carafes. When you don't have time to wash dishes right away, sprinkle on some salt. This keeps the food from sticking and makes them easier to wash later. Since 1999, Martindale Cleaning has been proudly servicing Illinois in the Bloomington, Normal, Downs, LeRoy, Lexington, Towanda and surrounding areas for residential, commercial and post-construction cleaning services. The business has grown over the past 11 years mostly by referrals. We are very proud of this fact, and hope to have continued growth with the expert service that we provide to our valued clients. or access our Contact Us page. New to our site is "The Martindale Rag" - news, views and opinions from us to you. Check it out and see what we have to say! Martindale Cleaning is now using "green" products! 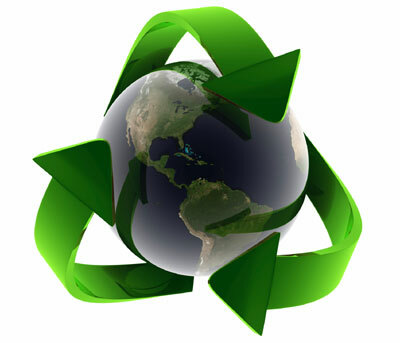 Help us help the environment by asking us about using environmentally safe products in your home. ...hire a professional to do it. Cleaning services are provided when YOU need them - whether it is a one-time cleaning - or regularly scheduled periodic cleanings - or if you just want to "pamper" yourself - or maybe you are buying or selling a home...appointments can be made to accommodate your busy schedule. A cleaning service can help you get ready for any special occasion, allow you to spend more time with family and friends, assist the elderly or disabled with house cleaning chores they may not be able to accomplish, and most of all...GIVE YOU MORE TIME! Please visit our FAQ (frequently asked questions) page for additional information on our services, or the Services page for standard pricing. Special Note: Martindale Cleaning was honored to be a part of ABC's Extreme Makeover Home Edition for the Montgomery family in August 2009. This was made possible through invitation only and Martindale Cleaning enjoyed every minute of it with our special TLC! Want to make a service request online? Go to our Contact Us page and complete the easy to use form. Or, give us a call us at (309) 827-4905. Perhaps you want to give the gift of a free cleaning to someone close to you. Click on our gift certificate button for more information.